The American University in Dubai (AUD) has announced the establishment of a scientific research centre for 3D printing concrete buildings. Called The Center for 3D Concrete Printing and Digital Construction, it is reportedly the first of its kind in the Middle East. 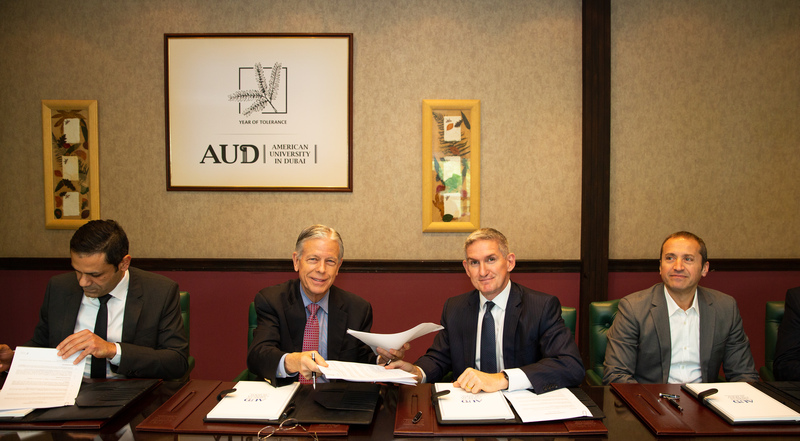 3DVinci Creations, a 3D printing service bureau based in Dubai, will supply the AUD center with a 3D printer as part of a cooperation agreement between the two entities. Arabtec Construction Company and Robert Bird Group, a global engineering consultancy firm, are also part of the agreement. The Center will be built on the AUD campus, and aims to establish a consortium to drive the use of 3D printing concrete technology in construction within MENA (Middle East and North Africa) and Gulf Cooperation Council (GCC) countries. 3DVinci Creations delivering a 3D printing workshop at AUD. Photo via AUD. The Center for 3D Concrete Printing and Digital Construction will focus on researching innovative processes and developing products, materials, tools and business models for 3D printing. In order to push its 3D printing research forward in the center, AUD will gather various individuals and entities from academic, industry and government fields. Furthermore, the university plans to run various educational and training workshops/seminars in 3D concrete printing for both local and regional communities.